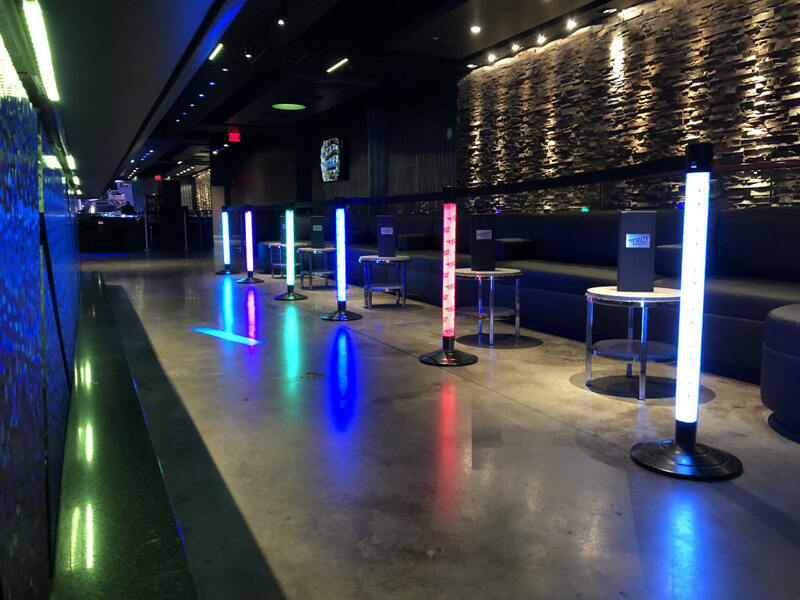 Light up the night with professional LED stanchions that are available as a retractable stanchion or post and rope type stanchion. Ideal for attracting attention in retail businesses or creating atmosphere in night clubs. These Lytepost LED stanchions offer multiple lighting effects that include flash, strobe, fade, flicker or set to a solid color setting to attract attention. Another setting is for audio sync. The built-in sound card synchronizes your audio with the LED stanchions for flash and strobe effect. 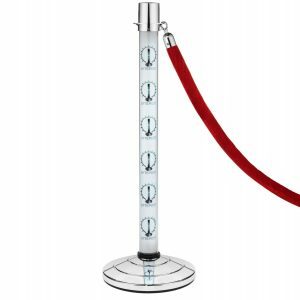 These lighted LED stanchions are ideal for grand openings and red carpet events. They are also a great reusable tool for branding and marketing agencies. Promotional branding is optional and not permanent and is accomplished by simply inserting a piece of clear film in each tube. 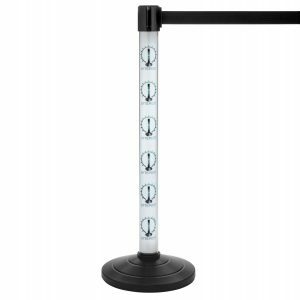 You can work with your local print shop for film inserts for your stanchion tubes branded with your promotional material or we can do this as well for around $20 per stanchion plus printing set up fee. The LED light shines brightly through illuminating your logo or message for your customers to see. For the Do It Yourselfers, The dimensions for the clear tube inserts are 7.75″ wide x 32″ high. Do you want retractable stanchions or post and rope type stanchions? What Color Base? Polished Brass, Chrome or Black? TOP: If you want Rope Posts, chrome or brass/gold? TOP: If you want Retractable stanchions, what color belt? Black, Red or Blue?